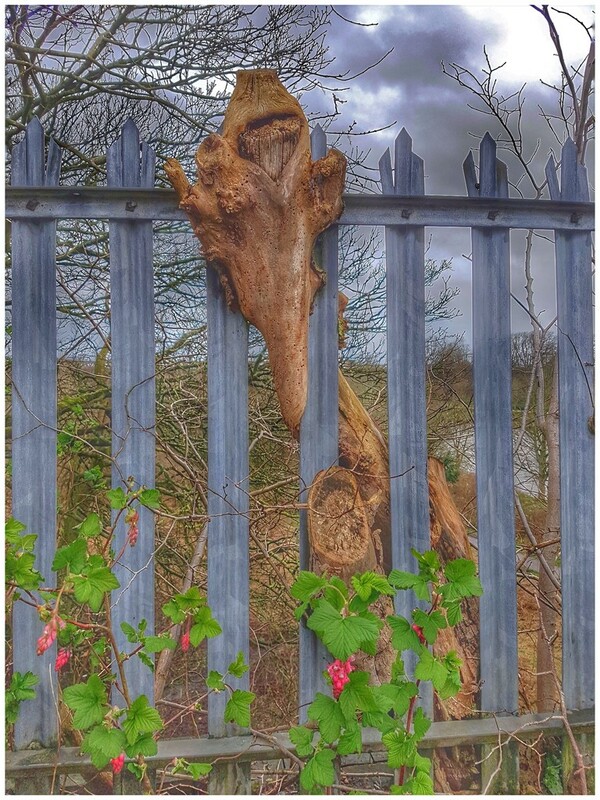 I can actually see a face in the wood straining to get out of that fence. But then, I just may have an over-active imagination! So weird, reminds me of a giraffe. Unusual find, like Babs, my first thought was of a giraffe! It's pretty amazing when trees grow around and through fences like that. Good shot! It looks like a giraffe caught in the fence -- as I now notice that others saw as well. Such a cool find -- well spotted and composed.